In 14 years of raising 3 kids in public schools, somehow, miraculously, we had never suffered a lice infestation. However, this past summer we got hit hard and after thinking about it, I realized that this was the first year my kids started sleeping-over at other kid’s houses. My daughter especially, slept over at many different friends’ houses and often did not take her own pillow or bedding. When a lice notice came home from school (we typically get 3-4 lice notices per year) and I checked the kids as I normally do, I found my daughter’s head teeming with lice! What was really bizarre is that she had felt nothing, no itching whatsoever! My 2 boys also had lice – but nowhere near as much. AND so did I!!!! Gahhhhhh!!! My husband, who shaves his head, escaped unscathed. But of course, ALL bedding etc. still needed to be treated. I had heard so many horror stories from parents who’ve been plagued by continual laundry and lice treatments for up to THREE WEEKS before they could wipe out the infestation. So the first thing I did was consult with my friend Lori – who has 4 kids and has been through 3 infestations – and she gave me the complete list on everything I needed to do. She seriously shortcut my learning curve – thanks Lo! And now I’m going to share exactly what I did – with step-by-step instructions for you if you ever encounter this plague. Let’s start with a few important facts. 1. About 99% of lice/nits are unaffected by current pesticides (i.e. commercial lice shampoos and chemical treatments) as lice (like bacteria) have evolved to be immune. Read that again. And don’t waste your time or money. 2. Once lice are off the blood host (you or your pet), they only live 1-2 days. 3. Lice can survive without oxygen for up to 8 hours, so just immersing in water doesn’t cut it. I actually tested this for 5 minutes and yes, the suckers kept moving around under the water! Now I know from eradicating intestinal infection, or viral infections, that you need to to hit these pathogens hard and fast. You cannot give them time to recover or regroup or they surge back stronger. These are the times to apply one of my favorite maxims: Go hard or go home! Combined with a few hours of frantic research and my own storehouse of herbal knowledge, here’s what I did to clear my home, myself, and my boys of lice within 24-48 hours. My other child (sleepover queen) had the worst infestation (200 eggs and 8 live critters) and took 3 days to clear completely. And of course, I did a 7 day check and a 14 day check to make sure we had indeed eradicated all the lice at every stage of their lifecycle and that we all remained clear. Success! Time is of the essence, so after reading through the regimen below. You’ll appreciate this handy list to assemble all the items in one trip that you’ll need to clear your home and hair of the lice infestation. Put all pillows into sealed garbage bags in the garage for 3 days. Likewise any stuffed animals, couch pillows, etc. need the same treatment. For extra security, put them in the dryer on hot for 20 minutes after the 3 days. I went out to HomeSense and bought discount pillows for all of us while I sealed our pillows and stored them in the garage. After the lice plague was over, I put all those old pillows in the dryer for 20 minutes. Then I did the same treatment with the new pillows I had bought to make sure that they too were clear. All clothes, coats, bedding, hats etc. need to be washed in hot water and then in a hot dryer (high heat) for a minimum of 20 minutes. 20 minutes is the minimum amount of sustained heat it takes to kill these parasites. Any hairbrushes, hair bands, combs etc. need to be soaked in very hot (boiling is good) soapy water, with a good amount of vinegar added for at least one hour. Vacuum all carpets, sofas. Then add 100 drops of tea tree oil to a water spray bottle with 1.5 cups of water, shake well, and spray carpets and sofas after vacuuming. At the same time you are doing all the elimination of lice from your home environment, you are also treating any and all affected family members. I’m going to give you all the instructions for each step in the process first, then in the next section I’m going to give you the at-a-glance summaries of how to implement this regimen. When you are checking to see who has lice, be sure and check the most likely zones – the nape of the neck, around the ears, bangs and crown of the head. The eggs can be white to brownish color and they are cemented to the hair shaft – it is very difficult to pull them off. The adults are light to dark brown and the size of a sesame seed. Use a flashlight! Seriously, even with a heavy infestation, we could not see the eggs or nits (my head is getting itchy as I write this!) until we used a flashlight on the sections of hair. First and most important, you need to get a steel nit comb like this one (which is notched/grooved along the length of the tines) for extra grip on the nit bodies. The standard nit combs (metal or plastic with smooth tines) from the pharmacy do not do a good enough job (I tried that first) and you will miss dozens of eggs. But I borrowed this professional nit comb from my friend who dealt with multiple outbreaks and I can confirm it is the full business! 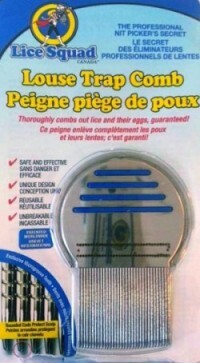 I have since found a much cheaper version on Amazon though, that looks like it is exactly the same comb. In fact, if you wanted to just lice comb a few times a day, you could skip the herbal hair treatments and this comb alone would probably eliminate all the lice and eggs in 4-5 days, I would think. 1. Prepare the hair for lice combing by shampooing hair, squeeze out as much water as you can, then mix 10 drops of wild oregano oil with lots of conditioner and leave it in while you nit comb. 3. Obviously, if you can shave your boys’ heads, that will make their treatment SO much faster and easier. But even with a few millimetres of hair, you still need to nit comb from all directions as shown in this video (apply conditioner first) – it’s just way faster! 1. Apply liberally to each section of hair after completing the manual lice comb. Use as much oil as you need to thoroughly coat all the hair and scalp – just slather it on. 4. After 5 hours, manually nit comb again to remove all dead or detached nits and nymphs. 5. Shampoo hair with 5 drops of Tea Tree oil per 1 ounce of shampoo. NOTE: Hair will be super oily after this treatment, even after shampooing. So if that’s a problem, then you can apply diatomaceous earth or dry clay powder to absorb the oil. 6. We used diatomaceous earth (DE) and left it in for 1 hour, then shampooed again, and hair is back to normal. I prefer the diatomaceous earth to straight clay because it also kills parasites and insects by absorbing bodily fluids into it’s porous surface. You can get DE at pet stores or health stores. Just be careful not to inhale the powder as the super tiny particles can irritate your lungs. After shampooing the hair clean again, we also blowdried the hair (heat!) and then used a 400 degree flat iron (hair straightener). This will fry the nits on contact. Of course, you can’t get right into the scalp with a hot iron, but if you flat iron in small sections, you can really clear the hair shaft of critters – sometimes you can even hear them sizzle – which is particularly gratifying! Prepare to work like a dog from the moment you get up until about midnight – especially if you have more than 1 child! Enlist help with nit combing if you can – unless you can clip/shave everyone, it’s takes up to 2 hours per head of medium to long hair to do a thorough job. Clear the home environment – see checklist above. Shave boys’ heads, or clip to #1 or 0. Shampoo, add 10 drops wild oregano oil to LOTS of conditioner. For a boys shaved/clipped head, only add 5 drops wild oregano. Leave conditioner in (do not rinse) and nit comb in sections as shown in video. Nit comb again in sections as shown in video. Shampoo and blowdry hair. 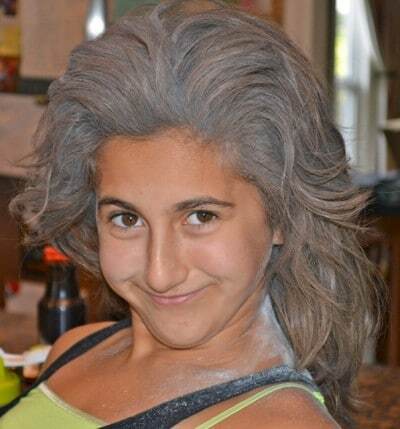 If you want to de-grease, then apply diatomaceous earth to the hair and scalp. Leave for 1 hour, then shampoo again. Put all pillows in a hot dryer for minimum 20 minutes (yes, I mean your new pillows). Shampoo, add 10 drops wild oregano oil to LOTS of conditioner. Leave conditioner in (do not rinse) and nit comb in sections as shown in video. Shampoo. Blow dry hair and flatiron if you can. Do a lice check and hopefully you are all clear. 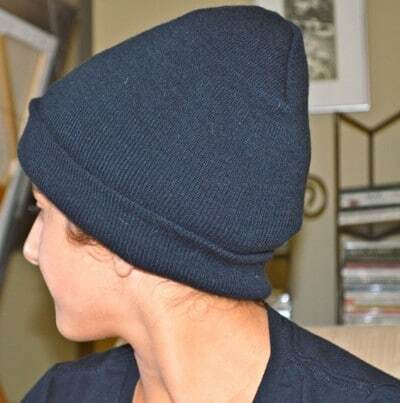 If not, either slather with conditioner and 10 drops of wild oregano oil and nit comb again OR do the Essential Oil Lice Remedy, cover with Saran wrap, then a toque or cap, and leave for 5 hours, then nit comb. Shampoo, blow dry, and flat iron hair. Do another thorough lice check. If you find any, then likely you are getting re-infected from somewhere. Either your home or somewhere else your child is spending time. If you find lice again, then start again at Day 1 and be super thorough on clearing your home environment. Make sure your child is not lying down napping at school or daycare, or trying on friend’s hats, etc. Might even be worth keeping your kids home for a week to ensure they are not re-infected. Because really, who wants to go through this tremendous amount of work twice?? Do another thorough lice check. If you find any, then likely you are getting re-infected from somewhere. Either your home or somewhere else your child is spending time. If you find lice again, then start again at Day 1. Of course, I banned all sleepovers for a month or so to recover from the trauma! But ongoing, I make sure my kids take their own pillow and sleeping bag at all times. Hopefully this will prevent another episode. Fingers crossed. ← Chocolate Cashew Butter Fudge – Dairy-Free, GF, and nearly Sugar-Free! 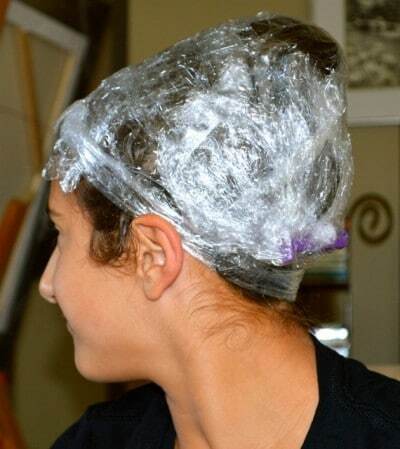 We have written about this twice in the last few months as well, as it is becoming a very big problem due to lice resistance….as well as the fact that many school districts (such as ours) now do not require kids to stay home until the lice is resolved!! CRAZY! Given this particular dilemma (kids with lice at school, etc), our patients have to also do a lot for prevention- and we wrote about essential oils prevention sprays, putting jackets and backpacks in garbage bags at school, etc! Just wanted to add that piece in case anyone is in a similar situation elsewhere. And yes, my head itches! That is insane that they send infected kids to school!! In Canada we’re asked to keep our child at home until they are all clear of lice. Same thing if your child is sick or coughing – the schools tell us to keep ’em home! Your article is precisely why I use a nit comb all summer long for my daughter. Thanx 4 all the effort of sharing! Priceless! Thanks for letting us know – I looked at that product, but wasn’t sure how well it worked. Nice to have an opinion from someone who tried it! Thank you so much for this post. I just came home from a beautiful trip in Costa Rica for 4 weeks. 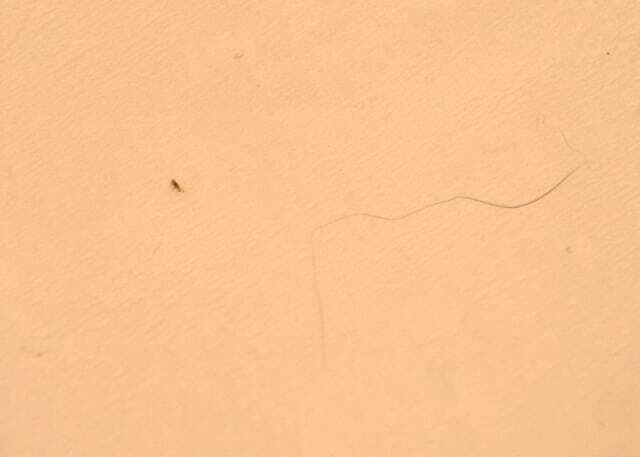 Sadly the day before I left the Caribbean coast to go back San Jose (the capital) I realized I had been laying in a bed that was infested with lice and I got hair and body lice. I was horrified luckily my friends helped me go to a clinic and get the shampoo for the lice. I came back home to United States and I was washing my hair, combing it, putting coconut oil & olive oil on it with tea tree. Blowing drying my hair and body. Washing clothes and drying them on high heat. This seemed to help but I still felt like they were on me. So this weekend I cleaned my apartment again and washed everything. I decided to try the DE last night and my hair feels so clean I really think they are gone. I’m going to keep combing and making sure everything is clean. Again Thank you so much for this blog post yours is definitely the most detailed and accurate information from what I have been researching. We really appreciate the updates and we’re glad to hear that you find the blog post helpful. Thanks so much for sharing and we’re looking forward to hearing more about your progress! So my toddler has lice! Real live walking live !!! It is gross. It is disgusting and I’m going to treat her hair today with the protocol you’re suggesting! I hope it’s a short journey! I’ve been a mom of 5 girls and in my 26 years of parenting I have never had an outbreak of lice. I really hate those creepy crawlies, and petrified of bed bugs, so I do have diatomaceous earth on hand because it is the best thing to prevent an infestation of many different kinds of bugs. It’s also good for humans and pets. But, back to the nitpicking issue, haha. So, our 26 year old daughter came to visit and apparently had gotten head lice unbeknownst to her and passed it along to her sister, who passed it to me. I have been doing everything possible 2 rid myself of these nightmares with smothering with coconut oil, laundering everything, and I still can find a few nits in my hair. So I bought the recommended comb on Amazon, it was 25 bucks for two of them. I am going to use the diatomaceous earth t-shirt method and then comb through my hair with this better nit comb. Hopefully, it works, because I have very long hair, extremely fine hair, and easily damaged hair due to autoimmune and thyroid issues. I’m very sensitive to chemicals, I actually used to be stationed on dugway Proving Grounds which is the Army’s biological and chemical testing center in the West Desert of Utah. I was perfectly healthy until I moved there. So, I treat my hair very gently, use the conditioner only method of cleansing hair, which has done wonders for my hair and I finally have the long hair that I’ve always wanted. I will cry if I have to cut it. Thank you for sharing your story with us! We hope that this natural method works for you and would love to hear how it goes. If you end up using a different method, we would also be interested in learning what you used and how it worked for you.